Fixed bug in logic used to update exchange rates. The bug caused the symbol for base currency to be reset when “Save and update exchange rates” button was clicked. Improved checks in WC_Aelia_Settings::load(). Method can now detect and ignore corrupt settings. Modified Admin CSS to make section labels more legible. Fixed incompatibility issue with PayPal Standard gateway. The plugin contained a bug that caused orders to be left pending if they were placed in a currency other than the base one. Simply order the plugin from the product page and you will get the latest version. Fixed bug in session handling. The bug caused the user session to be reset (and the cart emptied) when a currency was selected. Added new arguments to edd_aelia_currencyswitcher_widget_currency_options filter. Changed class names for currency selector widget. Removed redundant call to plugin’s auto-update routine. Improved Administration User Interface. The description of the “currency by billing country” feature has been updated. The new description describes the feature’s purpose more clearly. Optimised performance. Removed redundant call to plugin’s auto-update mechanism. 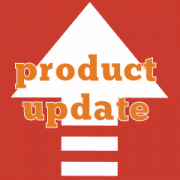 Improved compatibility with WooCommerce 2.2. Added logic to make sure that WooCommerce session is always initialised correctly, regardless of cart contents. This will prevent customer country from getting “lost” when the cart is emptied. Updated requirements. Plugin now requires Aelia Foundation Classes for WooCommerce 1.2.1.141017 or later. Added logic to force WooCommerce to use the appropriate tax rate. WooCommerce applies the base tax rate until the shipping has been calculated on the cart or on checkout, regardless of the country selected by the Tax Display plugin. This may cause confusion, as displayed prices may not be the ones that customer will actually pay. The Tax Display plugin now implements a logic that “tricks” WooCommerce into thinking that the shipping has been calculated as soon as a new country is selected, so that prices are displayed correctly. Fixed bug in the plugin settings user interface. The bug prevented the possibility to drag and drop the rows added to the settings. Improved integration with WPML. Added call to localisation functions for configured price suffixes. Updated requirements. Plugin now requires Aelia Foundation Classes for WooCommerce 1.2.0.141013 or later.